A safe filled to bursting. 4 new guns and single use Surprise cards. Your game of Cash 'n' Guns will never be the same. 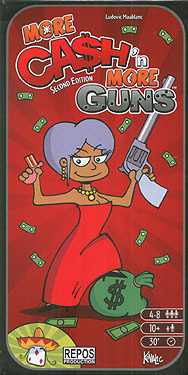 This is and expansion for the game Cash 'n' Guns Second Edition, the basic game is required to play.